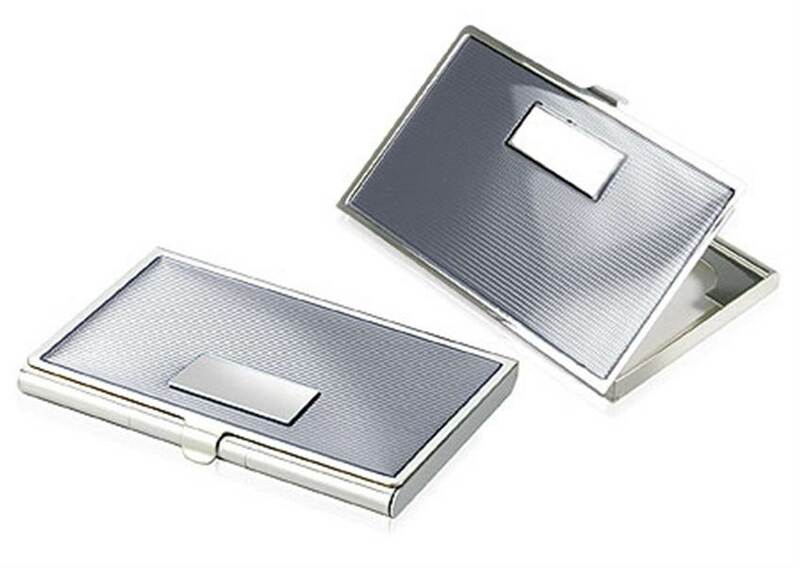 A classic styled business card case in silver-plate with translucent silver gray enamel decoration over a lined engine turned pattern. 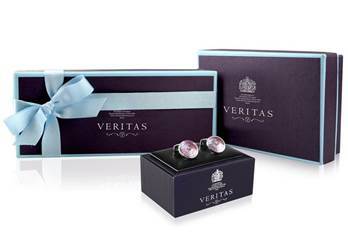 Features a rectangular engraving space suitable for diamond engraved initials or logo. Finished in silver grey enamel colour.